Here’s everything you need to know about this year’s main event on Saturday 14 June. It’s going to be the biggest day of furry, family-friendly fun London has ever seen! So dust off those walking shoes, get your team and sponsorship together, make sure you have this foldout, wristband and walk number to hand, and fly straight to the registration tent. Please make sure that your dog is on the lead throughout the day, that they’ve been vaccinated and that you remember your walk start time! And remember: dogs and children aged 12 and under when accompanied by an adult go free. Public transport is the best and easiest way to reach the Queen Elizabeth Olympic Park with your dog. There are several bus routes you can take. Please go to dogsunite.co.uk for the best routes. Stratford (London) is a 15 minute walk from the Dogs Unite Festival or a 4 minute bus ride away on the 388 to the Copper Box. Stratford International is a 15 minute walk or you can hop on our shuttle bus service to the Festival. Hackney Wick is a short 10 minute walk from the Festival. There are regular trains stopping at Stratford every hour, including trains from London St Pancras International, Liverpool Street and other National Rail services. Stratford is a 15 minute walk from the Dogs Unite Festival or a 4 minute bus ride away on the 388 to the Copper Box. If you do chose to travel by car you can book a space at Stratford International Station (£3 for 6 hours). 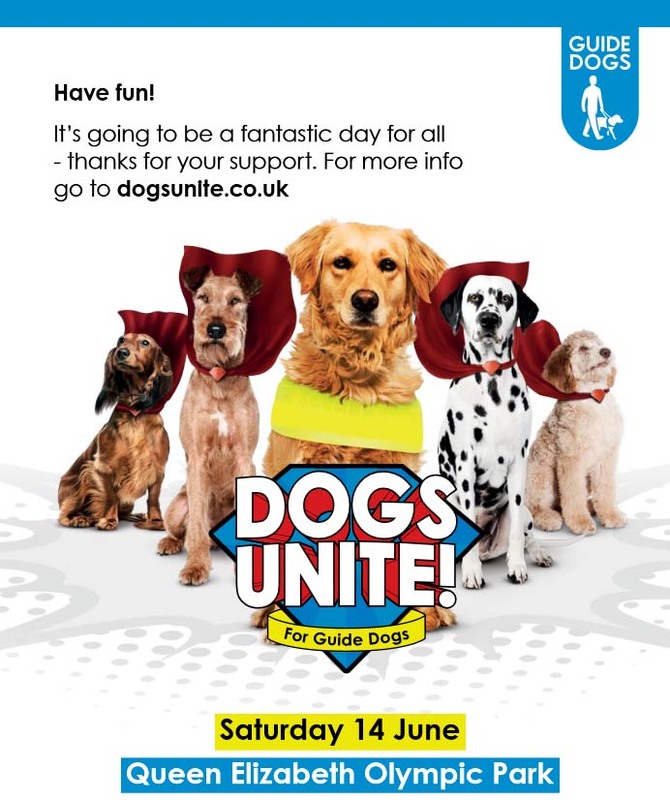 This is a short 15 minute walk from the Dogs Unite Festival. A shuttle bus service will also run on the day. It was a great day out for a good cause and our dog Harry (Sealyham, born deaf) won Best Rescue in the show. Sounds like an interesting event. Looks like there’s a lot of things happening there. Wow! That’s one full day of activities. It must be nice to get together for discussion and support! Great even! Wish I could be in London to come! 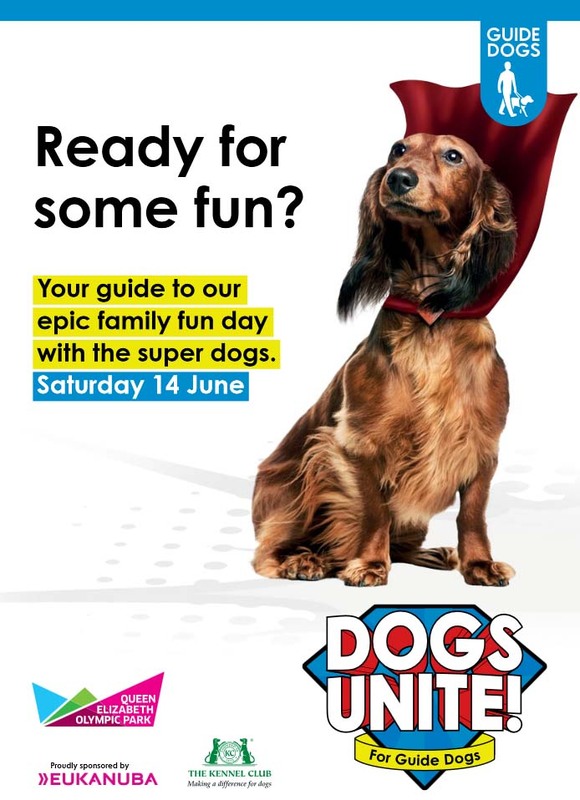 I think the Dog Training Demonstrations will be the best part of this event! I know I certainly could use some instruction! what a cool event! who doesn’t love to see a bunch of adorable dogs! That is such a fun sounding day!! Too bad we are way to far to participate.. This sounds so good! If only I lived in London! Something I would so like to participate in – were it not for a bit of a distance problem!